What is the Best Shape of a Meeting Room? The ideal shape of a meeting room is square allowing all participants to easily view screens and see speakers. Before agreeing to contract terms make sure the meeting space the hotel offers you is perfect. A square shape room provides participants with an ideal view of speakers & maximum screen viewing capabilities from every chair. Before signing a contract ask the hotel sales manager to create a meeting room diagram outlining chairs, tables and audio visual placements to make sure you are happy with the setup. In meeting industry studies ceiling height is mentioned when guests are polled post-meeting about likes and dislikes. It is rather interesting how high ceilings create a calm and relaxing atmosphere. Everything you can do when selecting an ideal meeting room for your guests will add to maximum comfort to retain information you are presenting and want them to digest. 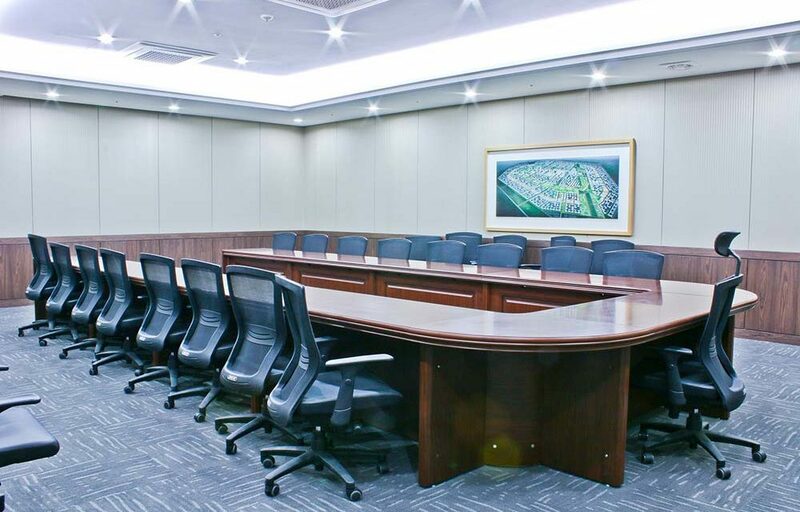 When you know about your audio visual needs you can determine if a hotel’s meeting room has built-in screens, projection rooms, whiteboards, etc. Having built-ins keeps a room less cluttered and it’s typically newer equipment with updated technology. This is also the time to inquire about costs for every item you require. Outsourcing a/v is another tip to consider as technology is a huge line item on your meeting budget and there are ways to save money. A room with a view is one of the best gifts you can give a meeting participant. You’ll need to confirm there are black out options such as curtains for presentation purposes. And, this may sound funny yet it’s important to see the view before selecting a hotel/meeting room. Windows can be dirty due to outside weather elements or the view could be of a brick wall. Make sure there is not an alley/street outside where delivery/garbage trucks make loud and distracting noises. Ask the sales manager for photos and confirmation of quiet! Reduce the risk of noisy interruptions by having 4 solid meeting room walls. This will ensure your executives and guests never complain about hearing other groups outside your meeting space. Don’t be snowballed by eager hotel sales managers who claim the partitions are solid. They aren’t! Keep this checklist to find the perfect meeting room for you and your organization.